A brief examination of urbanism and urban development as tools of capitalist social control and capital accumulation, which have created an uncanny “Martian” landscape, “a dead place in which freedom and history are destroyed”, suited to “motorized slaves” and “voters” rather than “citizens”, where “political dialogue and citizen’s self-administration are rendered impossible”, but whose days are numbered because of the imminent decline in oil production and thus a disastrous shortage of gasoline for the ubiquitous automobiles that define the contemporary “conurbation”. If, as Hegel said, city air makes one free, one is equally justified in saying that the air of the conurbation makes one a slave. If the agora, the forum and the public square made freedom and equality possible, their disappearance has annihilated them. The conurbation that has replaced the city—which some have called the post-city—has very different characteristics. The conurbation is precisely the opposite of the city, the exact contrary of a place whose scale fits its residents: it is a non-city, a space made to accommodate the automobile. A random pile of buildings scattered over the surface of a territory without any more order than that imposed by urban belts and the highways that separate them. What defines a city is public space, the common terrain for the conditions of public life, where the residents, those whom we may justly call citizens, can express themselves; where they can formulate and defend a collective project. Thanks to this political dimension, the polis, that is, the city, was the privileged locus of history, of history as the unfolding of freedom. In the conurbation, however, there is no public space; it is a neutral zone where urban relations, political dialogue and citizen’s self-administration are rendered impossible; a spectacle-space that does not invite communitarian practices but rather circuses devoted to engendering passivity. What defines the conurbation is the circulatory space, the asphalt, which practically covers all the surfaces that are not occupied by buildings. It is not only a space where one can go from one end to the other without coming into contact with anyone else, but one where encounters are impossible; a dead place in which freedom and history are destroyed. Since the city is no longer a city, the citizens are no longer citizens. Those who now call themselves citizens are really only voters, without any sense of belonging to a particular place, since the conurbation does not belong to those who inhabit it. Urbanism has been the instrument of this dispossession. Urbanism arose when the fate of the city fell into the hands of the bourgeoisie. Urbanism in nothing but the projection of bourgeois ideology into the civil space, or, which amounts to the same thing, the tool with which the city is transformed into a center for the accumulation of capital. Its first steps were carried out with surgical precision; at the expense of confiscated monastery gardens, old city walls and venerable alleys, huge squares and wide, straight roads were built that laid the groundworks for the predominance of circulation through urban space: the circulation of troops, commodities, carriages … in short, of capital. The commodity colonized social relations and introduced a new concept of time: time is money. The citizen masses are set in motion, spurred on by the haste imposed upon them by the economy. 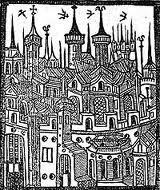 The city grew because it had to absorb the surplus paupers of the peasant population who fled to the city in search of work and because the new ruling class needed to make a space of its own. By way of domestic reforms, the bourgeoisie created new centers where commercial and financial activity were concentrated. The center was segregated from the periphery, where industrial activities were situated, and where the slaughterhouses, cemeteries, madhouses and prisons were relocated. For their own living space, the bourgeoisie constructed new neighborhoods, the suburbs, separated from the old neighborhoods where the artisans and workers lived. Public space, once it was embourgeoisified, disappeared; the bourgeoisie is a class that values its privacy above all. In the exclusive suburbs the buildings are tall, with large houses, spacious streets, with stores and luxury shops. The bourgeois idea of a public building is not the palace, or even the modest “trade union center”. Large buildings represent the bourgeois ideology of progress. Thus, thanks to the use of steel, the new consistories would be built, preferentially in an eclectic style, the edifices hosting the Post Offices and Telephone Companies, the municipal markets, the train stations and all the headquarters of the banks and big businesses. Bricks, steel and cement have no other function than to proved a space for new social hierarchy that rules in the city, one that is exclusively preoccupied with the movement of commodities and money. The imposing presence of the buildings must inhibit any typical everyday practice of an egalitarian society, and paralyze all social dynamics in its vicinity; in short, it must maintain order. The quadrilateral or orthogonal design does not confer any meaning at all to collective values, but rather reveals a parcelization of the terrain that obeys economic rationality: the creation of the real estate market. At the same time that the bourgeoisie made land into a commercial value, it consecrated privacy as the supreme value, since, unlike the situation in the workers neighborhoods, in the suburbs the interior is privileged over the exterior and, as a result, social life is devalued. The preponderance of circulation over the terrain is also the preponderance of private life, urbanistically represented by the island of houses, the block. The bourgeois city is a splintered city, in which every fragment is made autonomous: the political center, the commercial and financial center, the bourgeois residential suburb, the working class slums, the industrial suburbs, the bullring…. The spaces that were once common lost their capacities for hosting relations and communication, the streets separated the houses, the stairways separated the floors, and neighbors, enclosed in their rooms, were separated from the world. This movement, repeated ad infinitum, put an end to the experience of space. It separated space from time and from memory; its monuments are memorials to forgetting. Because it was subjected to circulation the city lost its rhythm. The street is no longer inhabited; it is only a place to pass through to buy things or go to work. In the Spanish State, at the end of the 1950s, the major cities took a great leap forward with regard to urbanization. The Development Plans and the injection of foreign capital were, for that era, the equivalent of what the demolition of the old city walls and the arrival of the railroad were for the previous era. Industrial activity became preponderant and was concentrated around the cities, forcing an exodus of the rural population. Within 15 years, the population of many cities would double. The wave of migrants from the countryside could barely be housed in apartment blocks and housing developments of a dismal architectural cast, vertical and cheap, situated according to the cost of the land for the purpose of putting as many residents as possible on each square meter. The city block as the unity of residences was definitively abandoned and the open block became the cellular unit of the urban framework. Spatially, it meant a greater degree of privacy and anonymity. Although growth was planned for the first time, or almost the first time, the urban development plans only indiscriminately filled up the terrains situated between the historic city and a purposefully designed network of highways, giving shape to a scheme of concentric growth—like an oil spill—that would never be modified. The decline of the working class neighborhoods provoked the flight of the middle classes to the periphery, which in turn resulted in long commutes and generalized the use of the automobile. The city outgrew its limitations thanks to the motor vehicle. By expanding, distances were multiplied and it forfeited its form, and yet more means of transport would be required. Automobile traffic inconspicuously appeared and then took possession of the streets. In a few years it would be the absolute master of the industrial city. During the 1960s, the cities not only expanded; they became suburbanized. The motorization of the population, the massive warehousing of people in the outskirts of the cities, the decline of the historical centers of the cities and the destruction of the urban green spaces were simultaneous phenomena. Economic problems would be joined by problems relating to everyday misery, or, to put it in sociological terms, to the “declining quality of life”. But while every public demonstration was repressed, the personal automobile, the television and a minimum capacity of consumption expanded the boundaries of private life. Football replaced the bulls as the most popular mass spectacle. Zoning as an exclusionary principle, fully equipped privatization and the dictatorship of circulation characterized urban development, which resulted in an agglomeration of individuals with hardly any connections with each other, indifferent with regard to place, motorized slaves of the laws dictated by the “infrastructure”, whether on the bypasses or the freeways. Urban development was not, however, a specific feature of the Franco dictatorship. First formulated by the American President Truman in 1949, it was the official doctrine of all the ruling classes and of all those who spoke in the name of the oppressed. This is why the change of regime brought to light a separate political class but did not imply a change of direction with regard to urbanist fascism and much less a return of public life. After a brief period of illusions, politics and trade unionism underwent a process of professionalization that proceeded in parallel with the de-activation of the neighborhood movement, processes that replaced the previously utilized repressive mechanisms and performed much more effectively. Spain was still “one big urbanizing country”. The new municipal plans were seemingly different on the surface but were designed according to the same patterns. A few band-aids, some more verticality, more zoning, a lot more cars and, once again, urban development without any other justification than the continuity of real estate speculation, since the population stopped growing almost twenty years earlier. Under the slogan, “the land for those who reclassify it”, the speculators filled every empty lot in the cities with buildings until they created a second, third and fourth suburban belt, consuming the brownfields and what was left of the agricultural land near the cities, in order to connect the adjacent cities and towns into one big metropolitan region. The phenomenon has been called “peri-urbanization”. The old central working class neighborhoods were depopulated and partially reoccupied by a marginal population, accelerating the process of decline of these areas. The old suburbs also began to undergo a decline in population; a large part of the younger generation sought housing in the first or second metropolitan outer belts, either from a desire for a better environment, or for lower-priced housing. Thanks to the defeat of the workers movement the few places that had been liberated for public life could be pacified and emancipatory unrest was successfully dissolved in an ocean of consumerism and ludic distractions. The intellectual underdevelopment of the residents was so much accentuated by urbanism that it was easy to indoctrinate them for consumption and mortgages. Urban development exacerbated all the traits of bourgeois urbanism: the fragmentation of the city, the destruction of the territory, massification, mental infantilism, the predominance of mobility over localities, unlimited urbanization…. Prefabricated materials prepared the consumers for absolute uniformity by way of millions of identical houses and apartments. An anonymous architecture entailed an impersonal lifestyle, one that is as insensitive to ugliness as it is to beauty, ruled by a notion of private comfort that is based on the elevator, windows, air conditioning, bathrooms and above all in a kind of bunkerization, with alarms, access codes and steel doors. Urban development, in the post-dictatorial democracy as well as in the Dictatorship, transformed the city into a mere support for autonomous circulation, and everything else follows from there. One can no longer call the final result a city, since it is an urbanized extension without any limits, without form and without character; a node, or a “hub”, or a point of articulation of the reticulum of the global economy, and all of them are more or less the same. Patrick Geddes called this a “conurbation”; others called it an “urban system”. It was not the fruit of globalization; it was the conditio sine qua non for globalization’s operation. Globalization is based on a network of hyper-urbanized territories where information and capital circulate in real time; thus upon a cluster of conurbations. The conurbation of the era of globalization has three traits that always characterize its exemplars: absence of borders (“the generalization of urban space”), a variety of centers (“multipolarity”) and an extreme degree of social breakdown (atomization). These are the traits that are required by a tertiary economy that, by geographically separating the productive process from the sites of consumption, raises circulation to the level of the preponderant activity. And with this circulation, all its related aspects: warehouses, assembly, distribution and transport. In order to adapt to a service economy, the conurbation must, on the one hand, attain a critical size that makes it profitable as a market; on the other hand, it must dissolve its center in an effective network of specialized poles of activity. The necessary population comes from far away, expelled from their countries by the liquidation of the forms of society that preceded globalization. Finally, the conurbation must be linked with all the other conurbations in every possible way and in such a way as to facilitate high velocity relations. In order to retain its place within the network of capitalist flows, it must have large-scale infrastructures, a regular supply of gasoline, excellent business services and spectacular marketing based on world events like sports or cultural celebrations. The conurbation is a territory-business in a perpetual state of self-promotion and festival, which must be comfortable to enter and easy to leave. The activity to which its residents devote the majority of their time is circulatory; they go from their dormitory-suburb to work or to the shopping mall. Urban space is now a space without conflicts, without events, where nothing ever happens; a space without a past and therefore without a history. The twenty- or thirty-storey towers are the paradigms of urban solitude and tranquility. An inhospitable place, where no one enters into gratifying relations, or establishes solid connections, or thinks they will stay there forever. A dangerous place where chance allocates bad luck, since, despite the fact that individuals have sacrificed their freedom, their independence and even their health for the protection offered by the economy and the State, the sensation of insecurity is considerable; a place that is suitable for gregarious personnel and unhappy and predatory people. Historical memory has been erased thanks to the destruction or the museification of the places where, once upon a time, there was life and tension. Their meaning has been utterly uprooted or denatured by the narrative that expresses something like the antiseptic happiness of a visitor’s center. Their tours are organized to the rhythm of the museum, mixing everything up in touristic itineraries. The conurbation has lost any sign of identity, any cultural or historical significance, any specificity: it could be anywhere, a provisional and sterile place, a non-place. The ruling classes try to provide it with a new identity by means of monumental “brand-name” architecture. This architecture is independent of the place where it is built; it might as well be anywhere and it is for that reason ideal for conurbations: it faithfully reflects the dissolution of the city, the rootless condition that reigns over the corpse of communitarian values. The “artist” architect is indifferent to the social environment, an enemy of the continuous narrative, hostile to the idea of equilibrium with the surroundings. The technological outrage, the expression of dissonance, in short, the building that is an insult, is precisely what he is looking for; that reflects his “personal touch”. The ostentatious building does not have to set down any roots at all; it only has to land on the surface of the conurbation. It therefore has a strange feel, as if it came from a “Martian” reality. It cannot establish the least relation with the inhabitants, since the latter, in a way, are also “Martians”. The monuments of the era of globalization destroy the reality of places and exile them to the realm of virtuality. As images, they are signs of a separate reality, where everyone must behave like spectators. They are like macro-events: enormous publicity operations that make a tabula rasa of history. Their presence in this neutralized chaos materializes the conception of the world of the managers of urban totalitarianism, and conclusively affirms the criminal model of society that they have chosen in our names. If the politics of infrastructure has a weak point, it is not the dwindling supply of fresh water, the enormous production of wastes or the generalization of abnormal behavior; the conurbation long ago left behind any human living conditions. The Achilles Heel of the conurbation is petroleum. The growth of the suburbs depends on the proliferation of automobiles and an unlimited supply of fuel. Thus, the end of urban hyper-development—and of capitalism—will not come at the hands of climate change or an unprecedented deadly epidemic, but from a simple energy crisis. Fossil fuels are what made modern industry, transportation, and therefore conurbations possible. They are so intimately linked to the global economy that when they begin to become scarce that economy will not be able to survive. Growth in a context of declining oil production will lead to social collapse. At this time, no form of energy, not even nuclear power, can replace oil. The entire economic system will cease to be profitable. The conurbations, without automobiles, will not be viable. Millions of second homes will be abandoned or will be occupied by fugitives from the metropolis. And this is just what will happen within a few decades. Once again, the objective conditions will arise that will force proletarianized individuals to look soberly at the world and to act accordingly. It is therefore not a matter of sitting and waiting for the corpse of capitalism to make its exit. It is advisable to take action and to know where to strike. The struggle to liberate urban space will be the new class struggle. A radical program must oppose urban development and demand a return to the city, that is, to the agora and the assembly. It must propose to set limits to urban space, to restore its form, to reduce its size, to put brakes on its mobility. To reunite the fragments, to rebuild homes, to reestablish relations of solidarity and fraternal bonds, to recreate public life. To de-motorize, to live without haste. To leave the market behind, to re-localize production, to preserve equilibrium with the countryside, to demolish three-quarters of what has been built, to make the territory less crowded. The economy must once again be a simple domestic affair. Put anonymity behind us. The individual must develop until he finds his place in the collectivity and puts down roots. The city must generate an atmosphere that, when breathed by its inhabitants, will make them free. Transcript of a talk given at the Ateneo Libertario of El Cabanyal, Valencia, on June 16, 2007.